Trying to make it until pay day? 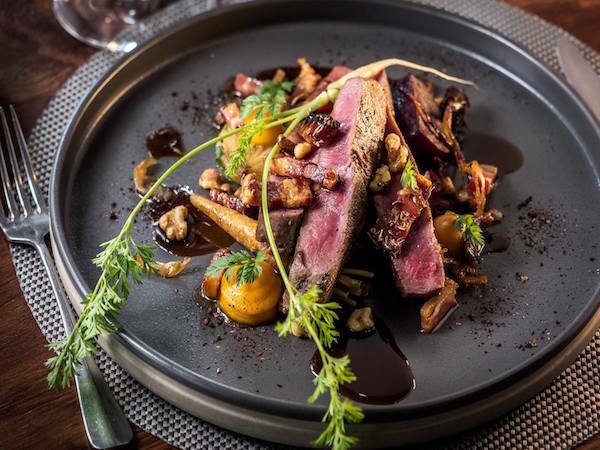 Consult our list of sneaky lunch meals at great eateries and give your pocket a comforting pat, safe in the knowledge than you can enjoy a wholesome lunch for R45 and under. 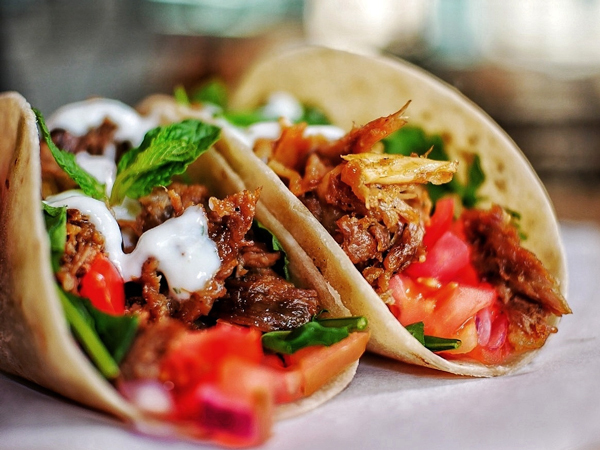 At one of Joburg’s best Mexican restaurants any of a range of deeply yummy and affordable items can be ordered from the blackboard. Try a home-made soft corn taco filled with halloumi, refried beans and veggies for R25, or a cheesy quesadilla with refried beans (R20), free-range chicken (R40) or mushroom, peppers and jalapeño chilli (R40). You can order a side of extra guacamole for R20. It’s great to sit out under the olives in the courtyard, among well-known artists enjoying their midday fare too. Ciabatta, rye or wholewheat toasted sandwiches are served with excellent chips and coleslaw. They could be filled with chicken mayo, ham, cheese and tomato or veggie, all for R45. In a soaring, beautifully restored banking hall, with art-deco marble and brass finishes, is a well-curated food hall. 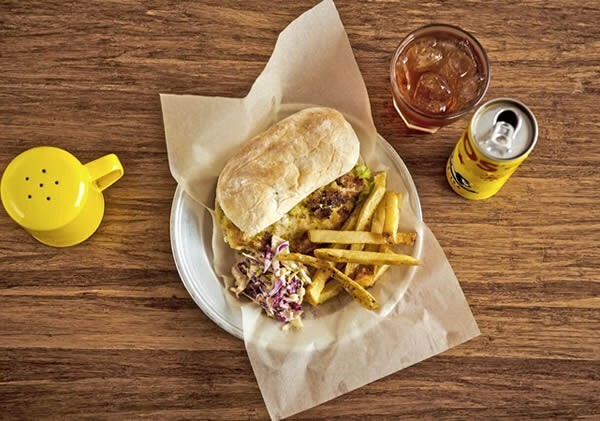 Grab a classic gourmet burger from Good to Go for R40, or a portion of the much-favoured smoked and pulled pork with roosterkoek and potato wedges for R40 from Cooking Soul. Curry in a Box has mutton, chicken, beef or vegetarian curries or bunnies for between R35 and R45. There are also Janne’s Garden Salads, quite a selection, between R35 and R45; crêpes from On My Grind, both savoury vegetarian and sweet options at R45; and noodles from Dim Sum Noodles at R45. Local working folk pull into this roadhouse for the fabled burgers, which are actually served between two slices of lightly toasted bread. 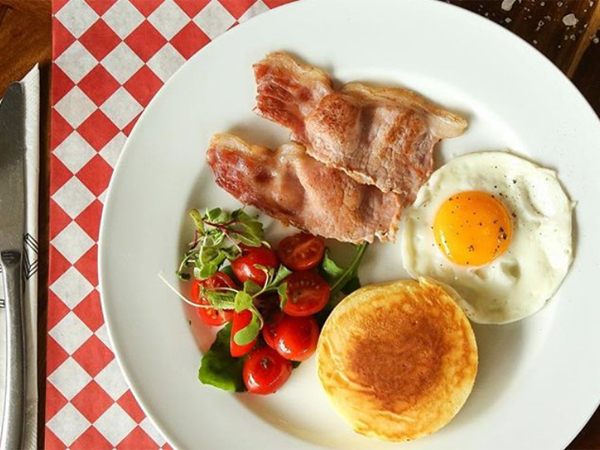 Eleven options are under R45, from the simple hamburger for R31,60 to the famous egg-and-cheese burger for R39 and the bacon-and-cheese burger for R41. Kiosk provides the delicious goods, especially for working folks who want interesting packed lunches (or breakfasts). Everything is made here, including the breads, mayos, pestos and sauces. You can eat your lunch here or grab takeaways of quinoa and maple-syrup roasted butternut with onion and dried chilli; warm garlicky panzanelle with mozzarella; Moroccan salad with grains, seeds and dates, dressed with a homemade cumin sauce; and chilli-nut noodle salad with red pepper and peanuts cooked in coconut oil. The selection changes daily. You pay by weight, but the largest container usually comes to about R40. Add a hardboiled egg for R4 or a crisp apple for R5. Also under R45 are dukkah rolls on homemade ciabatta with egg and olive oil; ham and cheese rolls; rye sandwiches with Kiosk’s own mustard and rocket; and BMT (basil, mozzarella and tomato) with fragrant pesto. The sweet name belies a quite grand, wallpapered restaurant. 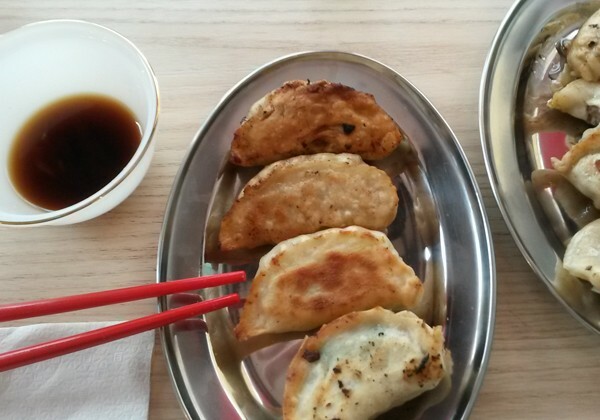 Many of the main dishes are just R5 over the R45 mark; however, you can order a large comforting bowl of won ton soup or a plate of fried dumplings for 40. Also snack on seafood soup (R25); bean-curd soup (R20); and the special Little Sheep soup (made from the vegetables of the day) for just R15. The desserts include a sweet-potato cream ball for R28; fried ice cream for R26; a green tea cake for R25; and a pumpkin cake for R20. All very good. 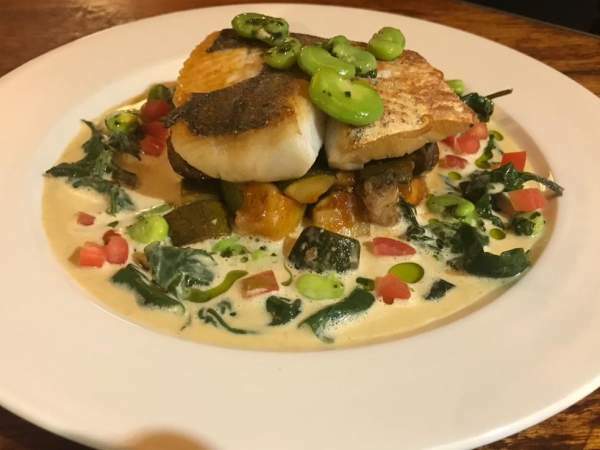 Every day of the working week chef Jamie composes the harvest table food of lunch delights. What’s only R42 is the special of the day, which could be a curry, a stew, a lasagne, pasta or wraps. It’s always delicious, offering good value for money. Eat in or take it away. There’s also a choice of sandwiches, made with local Black Forest Bakery bread, beautifully packed and ready to grab at R38. The buffet offering at Love Food Café. Photo supplied. Patrons can sit down at this corner eatery or take their Lucky Moo treats away in a very cute noodle box. Try the vegetable chow mein (R41), made with Chinese egg noodles in a wok, or order a portion of four dim sum dumplings for between R35 (sweet potato and lemongrass) and R45 (prawn, shiitake mushrooms and spring onion). For nine R5 coins in your pocket you’ll get a ravishing plate of bockwurst in a wonderfully different pretzel roll or one of the delicious salads, all for R38. (A highlight is the one made with butternut, goat’s cheese and pickled onion.) 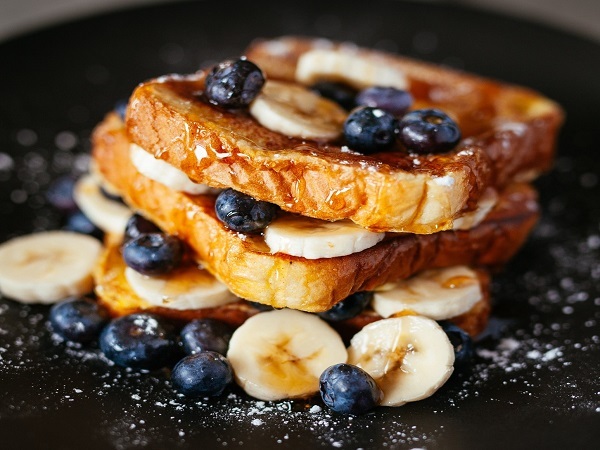 They also have toasted or plain sandwiches made on just-baked breads and filled with Parma ham and mozzarella, or chicken, avo and mozzarella (R30–R40). The generously messy roasted aubergine flatbread with fresh mozzarella and pomegranate molasses is a winner. Pastries are made by the famous Moemas chef, so think delicious chicken, beef or vegetable pot pies for R35. The interior of Milk Bar. Photo supplied. Chicken fans will love a quarter bird turned over the wood fire to take away. 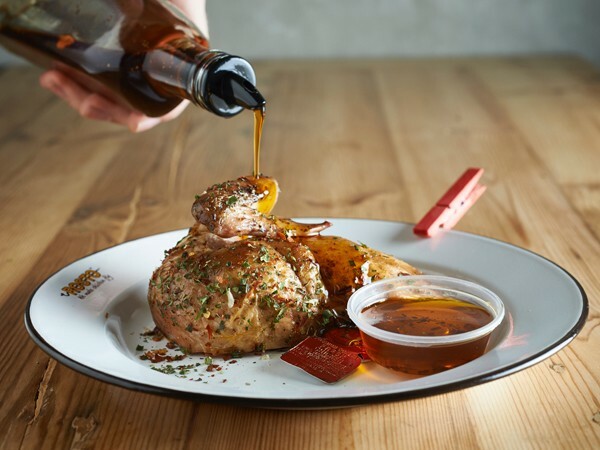 Choose between a chicken breast and wing or drumstick and thigh for R45, with a basting of sundried tomato, Mediterranean herbs or mountain herbs. Or you could just forego the chicken and take a tiramisu or a pannacotta away for the same price. The quarter chicken at Rosto. Photo supplied. Take a break from the desk and walk over to Deli on Duncan for a slice of quiche of the day for R35. Favourite options include biltong, pear and blue cheese and the vegetarian quick with spinach, tomato, caramelised onion and feta. A sandwich made with this award-winning bread is an appealing lunch option. Order two slices of toasted ciabatta, seed loaf, rye or sourdough filled with chicken liver pâté, fig and nut mix for R45. Beautiful bread at Lucky Bread Company. Photo supplied. 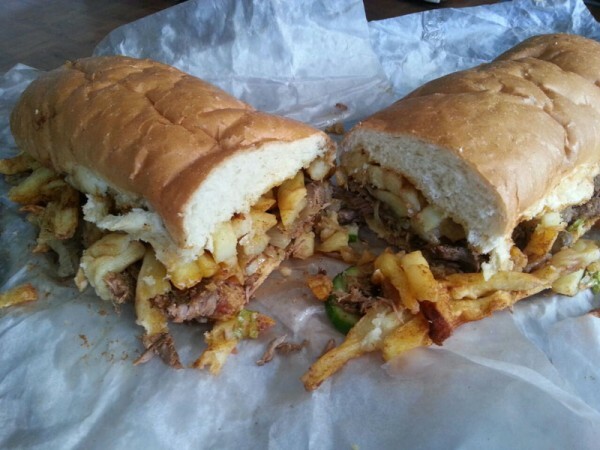 If you’re in the mood for something carb-based, Sandwich Baron has dozens of options under the R45 mark. Try a chicken-and-avo sandwich for R30 or on a 22cm piece of French bread for R40.50, or creamy peri-peri chicken livers with cottage cheese on a sandwich for R29.70 or French bread for R42.90. Even the more decadent sandwich of steak with fried onions, tomato and barbecue sauce comes in at R38. Toni Sime (of Toni’s Pizza fame) is also responsible for this fish-themed outpost that serves up very affordable seafood. Tuck into a portion of hake (fried or grilled) with chips or rice for R40. Less hungry? A portion of small hake is just R30. Your options are pretty varied at this bustling cafe. Go for the mozzarella, tomato and fresh basil tramezzini for R45; chicken strips on a toasted hotdog roll with honey-mustard sauce, cheddar and chips for R38; boerie roll with tomato-and-onion relish, cheddar cheese and chips for R38; or the penne Napolitana tossed with Parmesan cheese for R42. 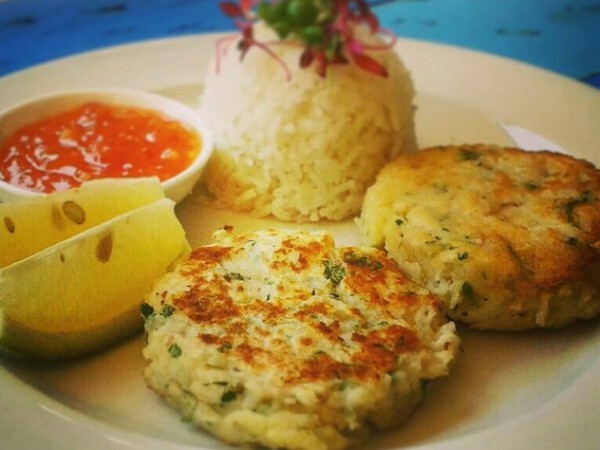 Fishcakes at Urban Eatery. Photo supplied. Here you can treat yourself to a plain chicken burger or strips for R38, or a combo with chips for R45. You can also free-trade your chips for coleslaw or go 50–50. Not keen on a burger? Order livers on a toasted roll for R35 or a healthy salad for R45. Desserts are also wallet friendly, with soft serve in a cone going for only R7. Afro’s Chicken burger and tjips. Photo supplied. 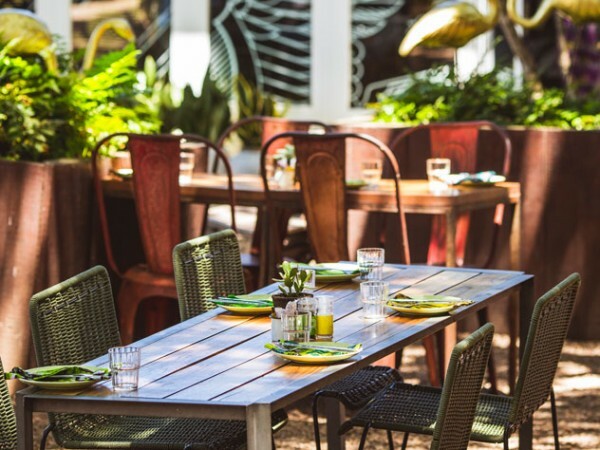 A favourite with the working crowd, this funky eatery is also easy on the bank account. Get one of the famous breakfast buns for lunch with fillings like bacon and egg with basil mayo (R38), pork sausage, rosemary and caramelised onion (R42), or grilled mushroom, cheese, egg and basil mayo (R38). There are also toasties with options like three cheeses and chives (R29), cheese and ham (R26), and bacon, banana and peanut butter (R38). If you’re eating on the go, a wholesome smoothie for R39 will fill you up or try a zucchini, spinach and feta muffin for R33. Get your curry fix at this popular little bunny chow bar. Order a bean bunnie for only R21 or go for the chicken curry for R45. The roti rolls are also a popular choice, with curry fillings priced from R18 to R45. 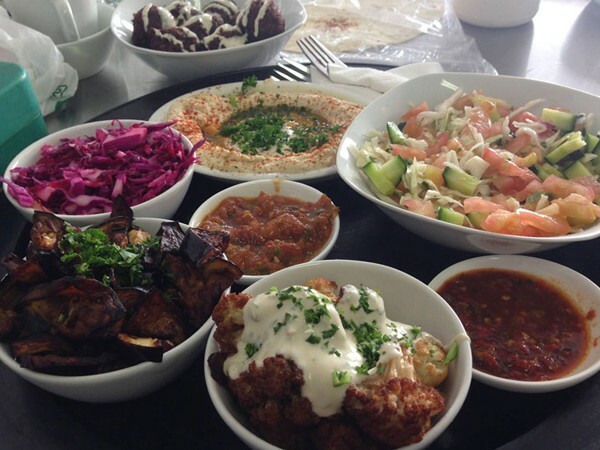 Tuck into some of the best falafels around at this hidden gem. Get yours in a roti, a baguette or in a platter. Options range from R40 to R50. You can also buy tubs of homemade hummus and babaganoush for R30. The falafel and sides at Falafel Fundi. Photo supplied. 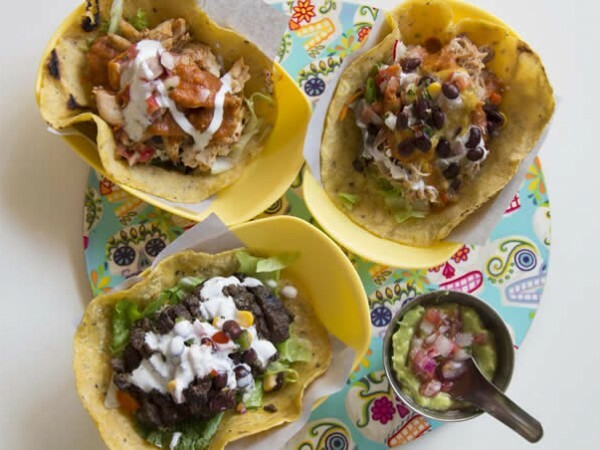 Feast on San Franciscan and Mexican flavours at this burrito bar. Lighter lunch options include chile relenos (R45), summer melon gazpacho (R38), and tortilla chips with unlimited salsa for R30. You can also order a burrito and share. Tuck into some free-range eggs on toast – done to your liking – and add some rosa tomatoes for R43. Another winning option is smashed avo on toast with lemon, chilli and pea shoots for R45. If you’re happy to share, try the tapas trio for R65 or try the zucchini fries with house-made mayo for R40. Outside at Freedom Café. Photo supplied. Beat the budget with a light dim-sum lunch at this Asian favourite. Try the chicken and roasted garlic won tons for R42, the butternut and feta ones for R36, or the crunchy veggie spring rolls for R39. They also do delicious vegetarian dishes as well as mini soups for R25 a pop. A dish from Greedy Buddha. Photo supplied. 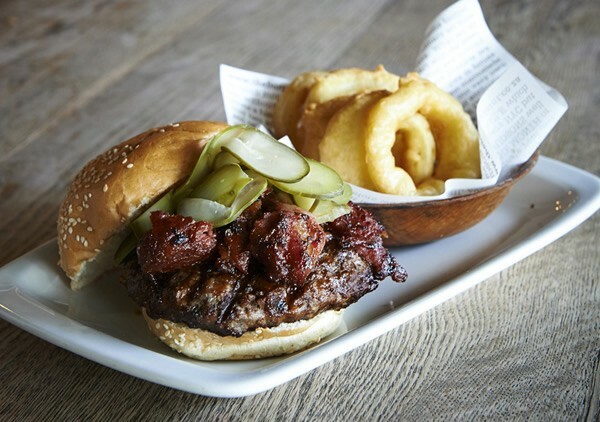 This burger joint caters for diners on a budget with some great lunchtime options. Get healthy on the salad burger with mixed greens, tomatoes, toasted seeds, avo and the signature dressing with your choice of patty for R40. You can also chow down on some sides like mac and cheese with bacon for R45, battered zuccini fries for R25, and loaded fries for R40. The burgers here are cheap and tasty. 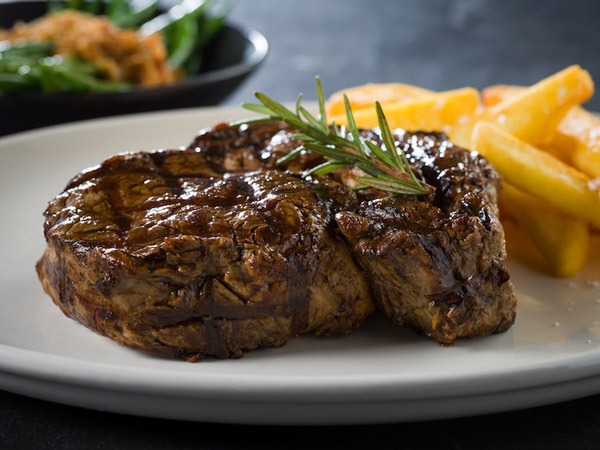 Tuck into smashed beef or barbecue for R42, or try the grilled chicken versions for the same price. There’s also a veggie burger for R44 that’s made with butternut and chickpeas. Feeling snacky? Order four chicken wings with a sauce for R29, or some chicken strips or calamari for R39. Lunch specials at this little gem are a delicious affair. Get your hands on a bao bun filled with barbecue pork or chicken for R25 each, and look out for other daily vegetarian options and wholesome soups. Grab a cheese-and-tomato bagel for R35 or a spicy coconut, carrot and red lentil soup for R40. If you’re looking for some veggie options, the salads here are R20 a plate, so why not mix it up with options like baby potato and lemon, or beetroot, feta and pear? Get ready for some of the best chicken in town. 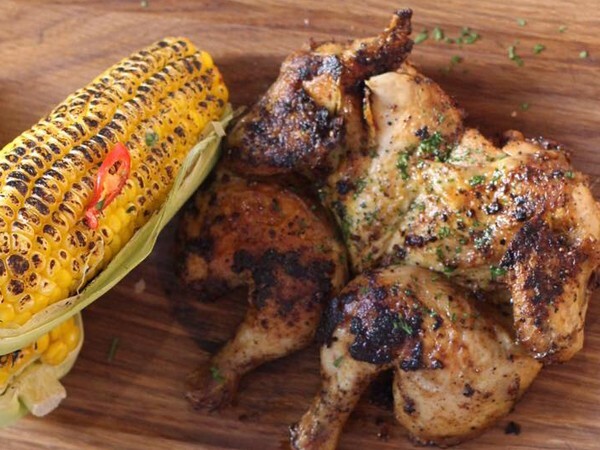 Order a succulent quarter chicken (R44.90) and take it home to create your own salad or sandwich. 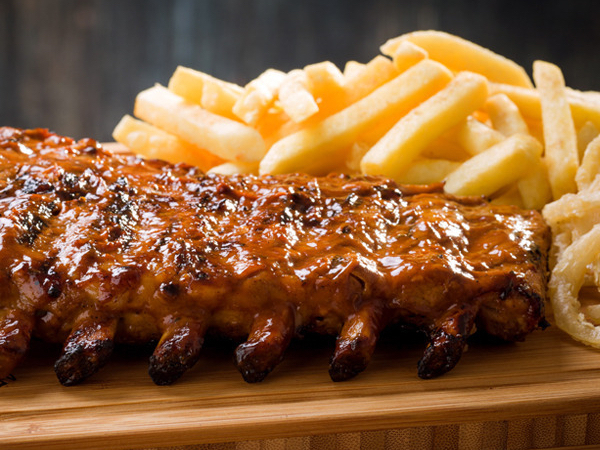 Alternatively, order a chicken schnitzel, buttermilk-fried chicken or grilled chicken breast for R34.90. If you want to save a bit more money, order one of the fresh sides at R26.90 for a regular portion or R39.90 for a large. Rotisserie chicken at The Chicken Shop. Photo supplied. This popular American-style diner offers some decent cheap eats for City Bowl workers. 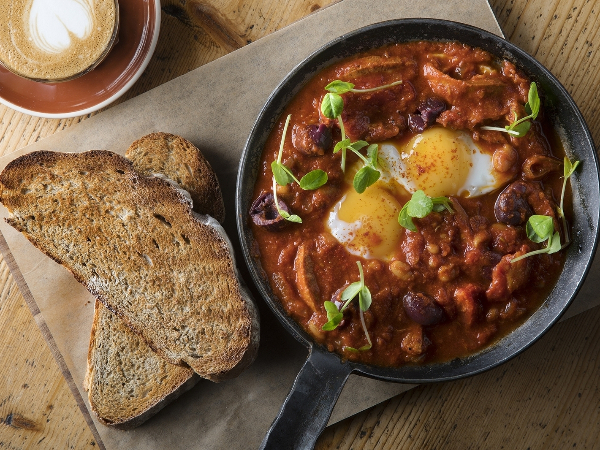 Go for one of the all-day breakfasts like the two farm eggs on toast for R32, or the avo on toast with house-made labneh for R45. 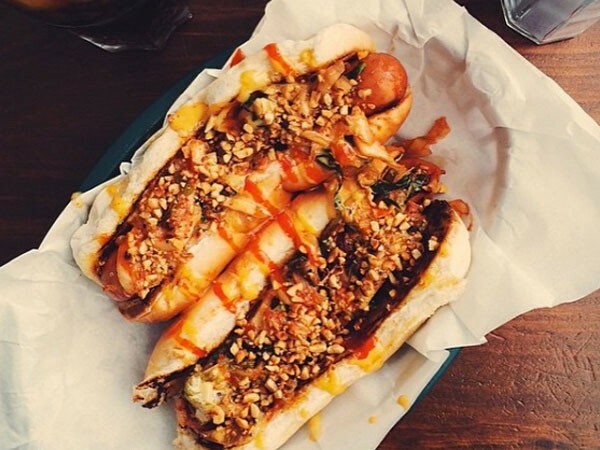 There’s also classic grilled cheese on white bread for R40 and an extremely tasty rooster dog with kimchi, sriracha, miso mayo and toasted peanuts for R35. If you want to taste the legendary burgers but don’t have the budget, try the baby burger with Underberger cheese. The rooster dog at Clarke’s. Photo supplied. At Crust, you won’t struggle to find budget-friendly lunches. Go for sandwiches that range from R30 to R44 or tuck into a burger for R44. There is also a range of gourmet sandwiches with options like smoked chicken with avo and mayo for R44. In winter, look to the home-made daily soups with buttered rolls for R44. 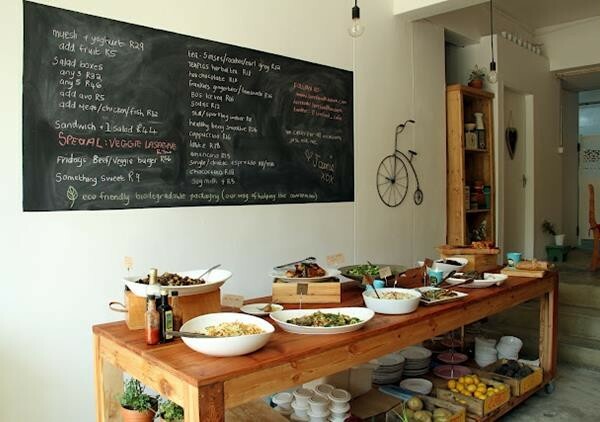 The counter at this daytime eatery is always laden with fresh, wholesome dishes that are ideal for a quick takeaway lunch. If you’re on a budget, forgo the meat and take two salads in a small box for R35, or head straight for a slice of delicious quiche for R30. Salads might include falafels with baby greens, sticky sweet potatoes with bean shoots, and rainbow carrots with feta and pistachios. Lunchtimes at this hip burger spot are both tasty and wallet friendly. Get your hands on one of the IYO toasties made with freshly baked Woodstock Bakery sourdough or ciabatta. The cheaper option includes cheddar, mozzarella, cream cheese and ripe tomatoes. 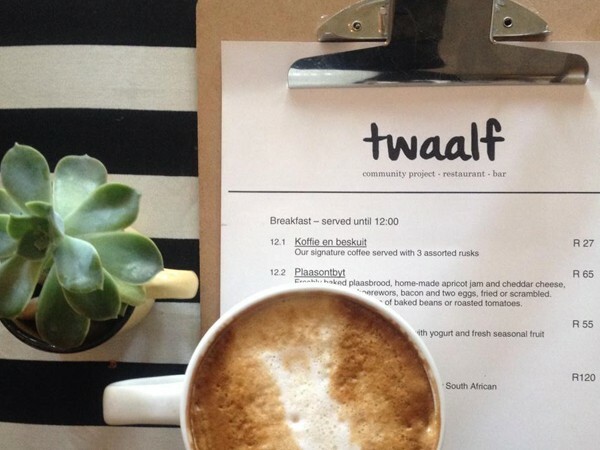 This buzzing Sea Point favourite has some affordable options for Atlantic Seaboard lunches. Tuck into a fresh garden salad for R32, or go straight for a toasted bagel and shmear with any two home-blended cream-cheese spreads. 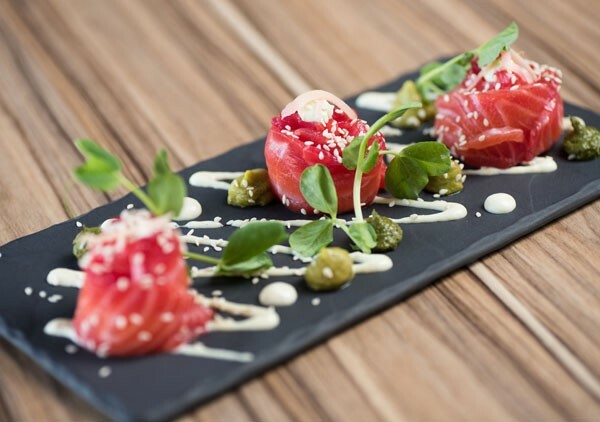 Choose from spring onion and chives, sundried tomato and olive, wasabi, roasted garlic and herb, peppadew, horseradish, and cucumber and dill. For cooler days, try the comforting matzo ball and chicken soup for R44. Kleinksy’s handsome interior. Photo by Jan Ras. The aroma of vinegar on slap tjips emanating from the store is enough to get any mouth watering. Get more than you pay for when you order a small hake and chips for only R37. There’s also delicious calamari and chips for R39 and a snoek and chip roll for R36. Go hungry and get there early to avoid queues. 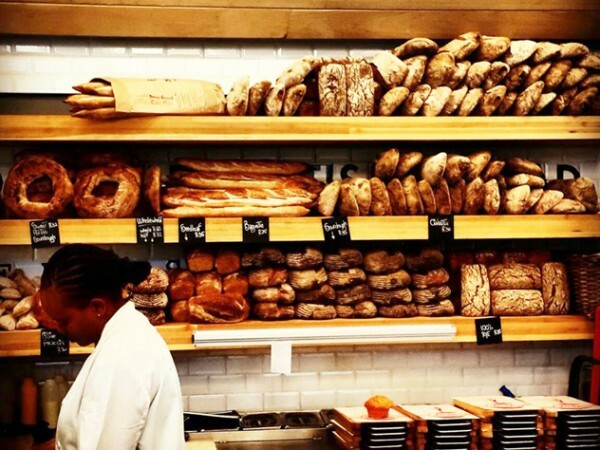 This buzzing bagel bar sells out of its fresh bagels pretty quickly during rush hour. For budget-friendly options, go for the fennel and leek bagel for R40, the tuna mayo option for R45, or the toastie bagel with your choice of spread for R26. 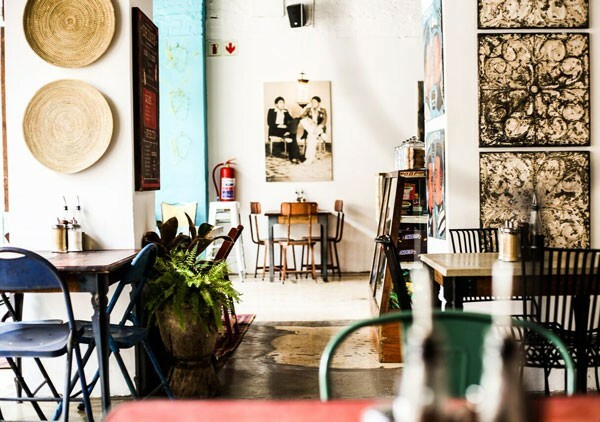 A classic cheese-and-mayo sarmie at this great café will set you back only R30. You can also opt for the R40 popper sandwich, with jalapeños, cream cheese and cheddar, or the pesto version with Danish feta, peppadews, basil pesto and mozzarella for R40. The menu at this popular lunch spot ranges from toasties and rolls to curries and rotis. The prices are incredibly reasonable, with options like a quarter bunny chow for R43, chip rolls for R25, and steak pitas for R43. The steak gatsby at Mariam’s Kitchen. Photo supplied. For a sushi spot, this place serves up affordable lunchtime options. You can get tempura prawns for R12 a piece, veg spring rolls for R30 and tuna pops for R42. If you’re looking for the raw sushi, get rainbow reloaded rolls for R42, rock shrimp rolls or R38 and bean curd pockets for R36 or R38. A slice of fresh pizza for lunch is what you’ll get here. The New-York-style spot serves up Manhattan-inspired slices that are almost as big as a regular pizza. Enjoy slices of plain cheese pizza, pepperoni, roasted peppers, or buffalo chicken. (R24–R28 a slice). 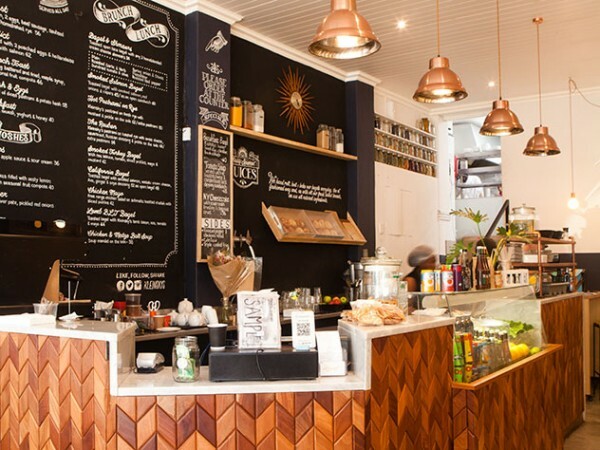 This Bree Street deli offers a few delicious lunches that cost less than R45. The Heart Stopper is a rich and cheesy croquet monsieur for R38 (add an egg, chips or salad for an extra fee). There are also budget-friendly sandwiches and a bacon butty roll for R38. A toasted sandwich at Smak. Photo supplied. Enjoy some spicy Mexican food in your lunch hour with your choice of burrito or bowl filled with free-range chicken or braised beef (R40), scrambled eggs (R24) or veggies (R34). You can also add extras of black beans, salsa, corn, sour cream, and chopped chilli. Head to this hipster spot and grab a sandwich to go. Cheaper options include the Hit and Run (R35), made with a buttered German-style roll with salami and cheddar; the Hamhattan (R35), which is a bagel with bacon and cheese; or The Vice (R35), a ciabatta roll with salami, cheddar, sliced beef and tomatoes. Those hunting for a bargain can enjoy light meals of soups (R42), toasted ciabatta slices with toppings like basil pesto (R28) or sun-dried tomato pesto (R26), tandoori chicken skewers with yoghurt dressing and salad (R38), or a small portion of pesto pasta for R48. Feel like a gourmet burger but on a budget? 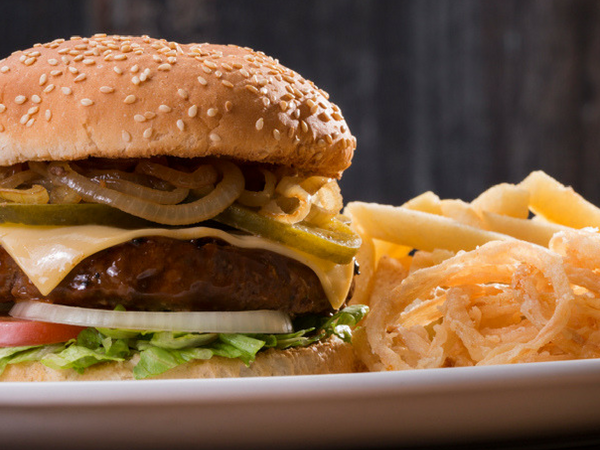 Hudson’s offers the Plain Jane burger for R44. The beefy affair is served medium rare on a soft, floury bun. It’ll satisfy without breaking the bank. Alternatively, go the snackier route and order some disco fries with cheesy sauce or a slaw of cabbage, carrots, feta, red kidney beans, chickpeas, sweet corn and a honey-mustard dressing. A burger with onion rings at Hudson’s. Photo supplied. The home of smash burgers and ribs, Rocomamas has got your bank account covered with its delicious offering. Get the Old Skool burger with a 150g smashed patty, red onion, tomato and house mayo. 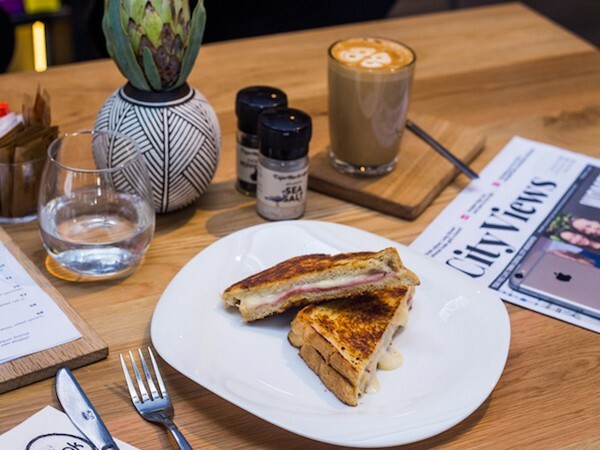 For something more gourmet, the eatery will let you downsize your choice to 100g so that you can enjoy options like the classic cheese with aged cheddar, sweet pickle and home-made mayo for R42. Also feast on four wings (R28), chilli con carne cheese fries (R45), nachos (R45), and jalapeño or feta bombs (R35). Health nuts can munch on a village Greek salad or spicy coleslaw with bacon for R35. This pub has become known for cheap pub grub and buzzing atmosphere. Tuck into a Pizza Naturale topped with feta and garlic for only R30, or opt for tapas-style snacks for a lighter bite. These might include bitterballen (R45), veggie spring rolls (R39), fried calamari with real mayo (R39), or frites for R22. Chow down on the affordable braaibroodjies filled with a variety of tasty ingredients. There’s the cheesy traditional for R20; chicken, mayo and bacon for R40; and a gourmet version with Parma ham, pesto, sundried tomatoes and mozzarella for R45. Jaffles and snacks round out the offering for smaller appetites. A coffee at Twaalf. Photo supplied. Have we missed your favourite neighbourhood cheapie? Share your secrets in the comments section below. Please note that while we take care to ensure the accuracy of this information, some items may change without our knowledge.